PHOTONIC – a company of the WILD Group – is the specialist for optomechatronic products, e.g. integrable LED modules, stand-alone light sources, minor surgical lights as well as safety-related devices. To meet the demand for real innovation, PHOTONIC constantly develops new concepts for challenging environments as well as needed miniaturization and systems optimization. The product variety ranges from UV light to visible light and near infrared and covers all light spectra. To maintain and enhance our leading market position, we keep on working on new technolgies and discovering new fields like Photobiomodulation. Since the foundation of the company in in 1986 the core competencies were constantly extended and advanced. With fibre-optic illumination system new market segments have been entered, e.g. microscopy, which are known for their dynamic development. 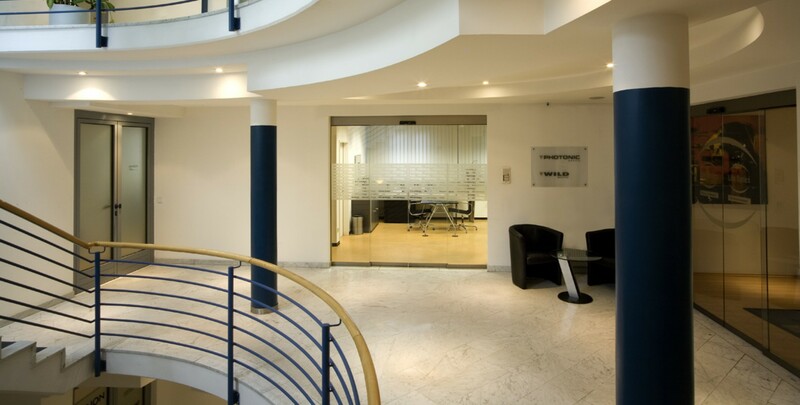 In the following years we also started to operate in medical technology and endoscopy. In 2015 PHOTONIC took over the intellectual heritage of ZETT Optics and started improving and producing minor surgical lights which were integrated in the product portfolio. Innovative capability, uncompromising quality and an outstanding cost/benefit ratio have put PHOTONIC in a leading market position in the respective segments. PHOTONIC stands for functional, economically superior products and invests constantly above industry average in new product development. Apart from developing, producing and distributing its own products, PHOTONIC develops and manufactures products accoding to customer specifications. The solutions stemming from these cooperations range from individual integrable moduls to whole independent illumination systems. The project process from idea finding to start of production is characterized by a close relationship with the customer. 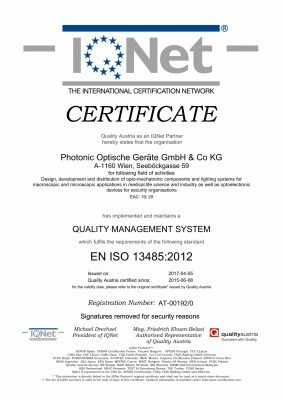 "We always can rely on the contribution of PHOTONIC's extensive know-how in a project." 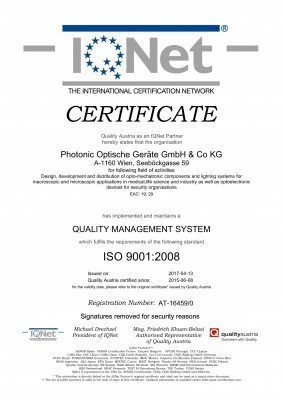 "Photonic is our competent partner with great problem-solving competence, convincing us for many years with great flexibility and high quality standards."